In addition to stocking up on sweaters, scarves & denim, now is the perfect time to update your shoe collection with versatile boots, booties & comfortable flats. 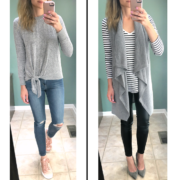 Today I’m excited to be partnering with Shoe Carnival to share my Fall Overhaul with you – I’m highlighting 3 of the hottest footwear trends for the season & showing how to style them for every day. 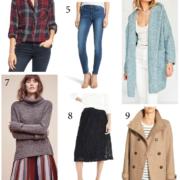 All three pairs that I’m wearing here are under $50, which makes this a great way to give your autumn looks a modern feel (for less)! And if you head over to my Instagram later today, I’ll be hosting a giveaway where one lucky reader will get a $150 Shoe Carnival gift card – be sure to stop by & enter for your chance to win! Ankle boots are notoriously tricky to style because, depending on the height & width of the shaft, they can visually shorten your legs. What I love about the sock boot trend is that they are more form-fitting to your leg, which creates a slimming effect. These Nicole Carina booties are much more wearable than other booties I own, thanks to the sturdy block heel. These will pair well with dresses & tights in the winter and they also look chic with skinny jeans or faux leather leggings. I’ll admit this was one shoe style that I was on the fence about at first because I was worried they weren’t practical (and I was afraid they’d produce an annoying slapping sound with every stride). But, I decided to give them a try & I’m so glad I did – these Solanz Baylee loafer mules are as comfortable as slippers and didn’t make any noise when I walked. The silver hardware & tassel detail give them a luxe feel so they’ll go with all my favorite jeans & trousers. I recommend sizing up in these so you don’t have that dreaded heel overhang in back! 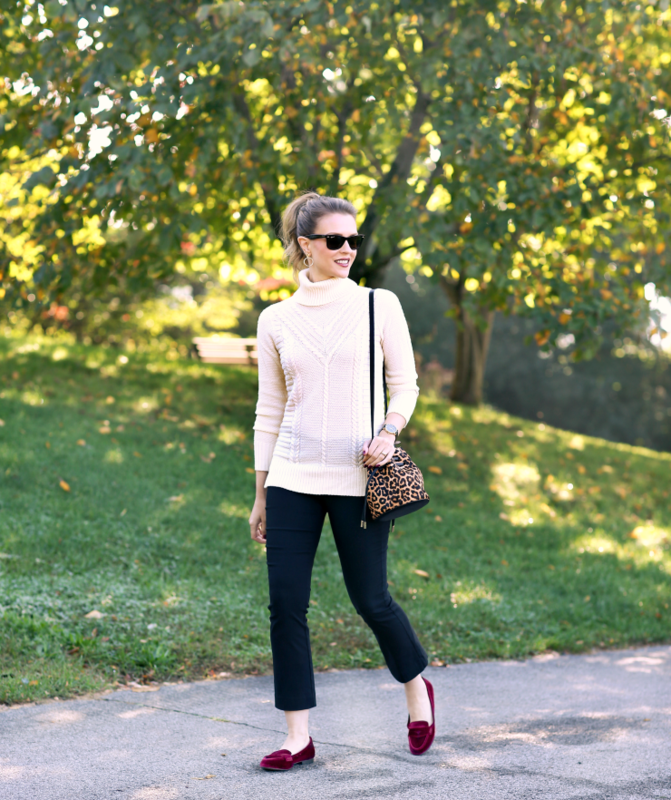 Velvet is clearly my favorite trend for fall and this color was too pretty to pass up! I’ve always been a fan of loafers for their timeless & slightly preppy feel, so I love the modern twist that these Madden Girl Carmello velvet loafers will give to my outfits. They also come in classic navy (and I found them to be true to size). Another way I’d wear these is with skinny jeans, a crisp white button-down & wool blazer for a polished fall look. Those velvet flats are the cutest!! I love every pick in those post. All sooo cute! 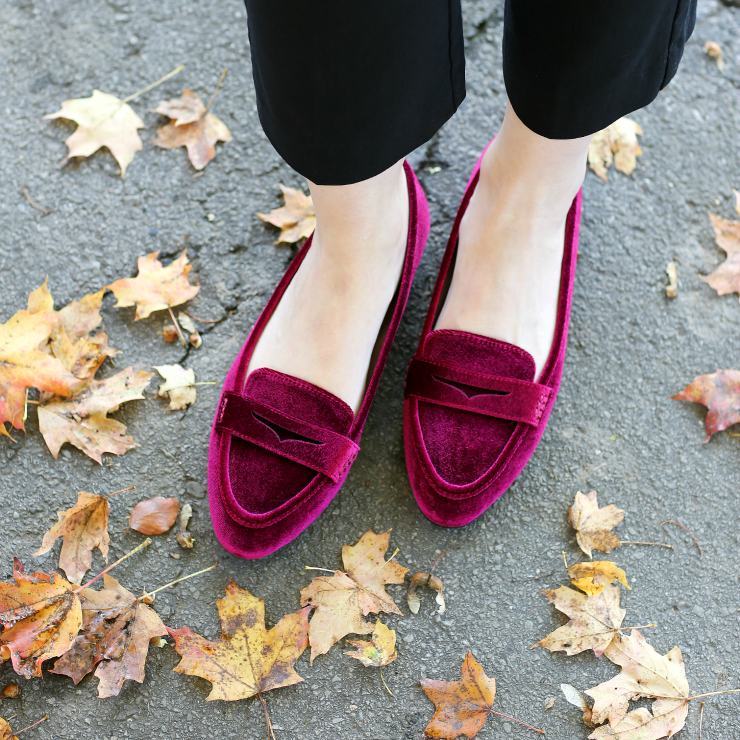 Oh my goodness, I LOVE those velvet flats! How would you rate the comfort level of the velvet loafers on the scale of 1 to 10? I’ve worn them twice for a full day & didn’t feel like they needed a “breaking in” period – in fact, I’m wearing them again today to run errands! I would say they are a 8 in terms of comfort. Ooo I’ve been wanting to try the sock boot trend but have been so nervous they’d make my legs look stumpy. May have to try these out since they’re so affordable! Are those sock booties as comfy as they look? Yes absolutely – love them!! 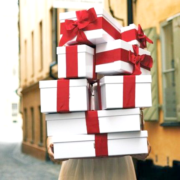 Just bought the velvet loafers and the mules — in addition to being on sale, Shoe Carnival is running a BOGO promotions. Got the mules for $10!! so $34 for both pairs, not including shipping and handling and tax. Thx, Kimberley!!!! Wow – such an amazing deal! Hope you love them both as much as I do!! I have some loafer mules just like that and I love them! Loving that sock bootie too. Super cute! Absolutely loved those velvet loafers girl! And especially in that beautiful color – i’m going to have to snag a pair! The sock booties are definitely my favorite out of the three! They’re perfect because you can dress them up or dress them down. Those boots are perfect! I love them for fall! Love all these shoes for fall super cute!! I really love all your outfits! 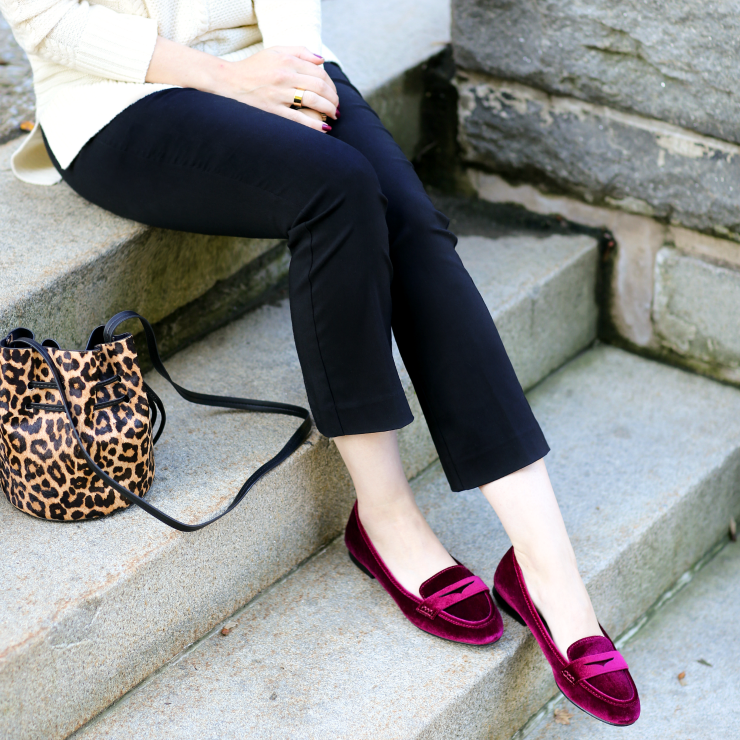 Love the loafer mule and the velvet flats. I think i prefer them over the sock booties. Everything is very cute though! All of these shoes are SO cute, but those velvet loafers are everything!!!!! I’m excited to try the sock bootie trend! SO much yes to those booties. this whole outfit is so chic! 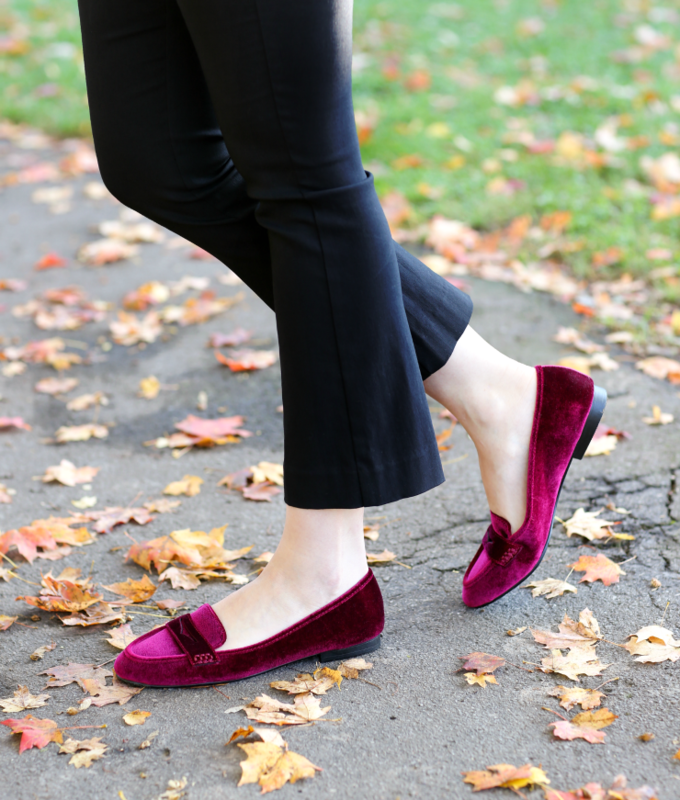 i’m totally eyeing a pair of velvet flats for Fall! All of these looks are absolutely gorgeous!!! I am in love with those booties!! such great fall footwear!! love the boots! Ohh I love those suede penny loafers! Oh my gosh I want all of these shoes! SO freaking cute girlfriend! These are all SO gorgeous! Love those velvet loafers! I have been dying to get a pair of sock booties. Just need to find the right ones! Loving all of these shoes! The velvet loafers are my fave! Those velvet flats are adorable! I need to grab a pair. Those velvet flats!!! YES PLEASE! I love them and how you styled them. This whole look is perfection! I am in need of some new booties for fall and winter. Sock booties are some of my absolute favs this season! Great shoe picks!